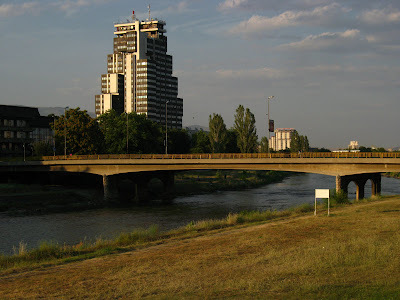 I've never been to Skopje so far, but I'll definitely want to visit the city at the Vardar river, because some of the most exiting building built in the former Yugolsavia are in Skopje and I want to see them live. So far I collected their pictures and want to share them here, just to let you know that this fantastic buildings exist! 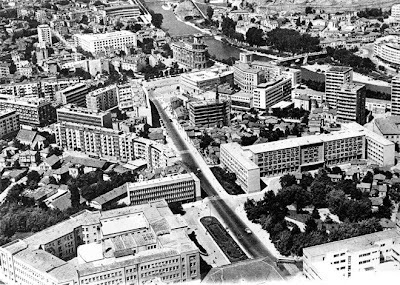 The earthquake of 1963 that destroyed most of the building in the center and along the Vardar river and the communist regime in the 60's created a unique environment to create some very special projects. 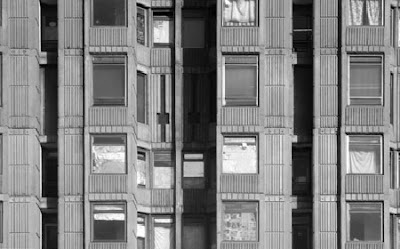 The architect was Janko Konstantinov (born in 1926) who worked also for some time in Alvar Aalto's firm in Finnland. After the earthquake he returned to Skopje with the intention to help to built the city again. 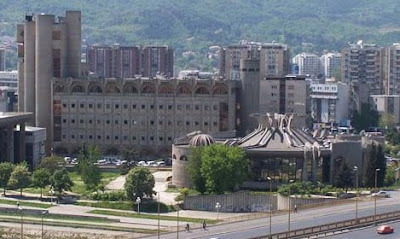 This project of the main post office was realized in 3 stages (1974, 1982 and 1989). 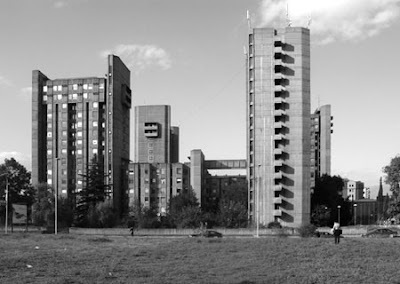 In 1974 the big soviet style concrete block with the tower was built. The tower was inspired by the towers of the old fortress across the river. Then followed the second stage in 1982 when the a "futuristic insect with upturned legs" building with the main public area was erected. It's a purely abstract creation also in reinforced concrete. In the main hall there are some communist style murals in bright colors made by Borko Lazeski (1917-1993). This concrete building is next to the Main Post Office. 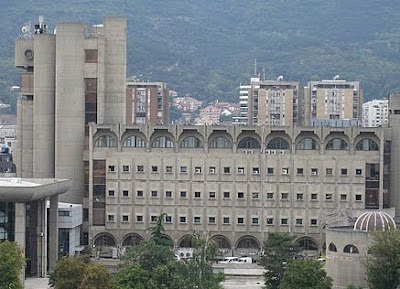 This huge dorms are a project from 1975 and are part of the urban concepts for Skopje after the earthquake. 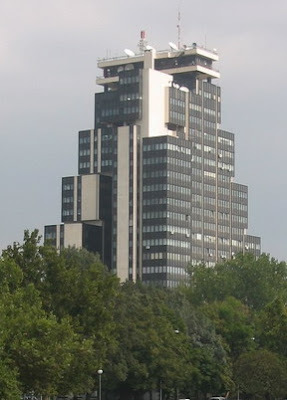 The architect was Georgi Konstantinovski. Here the Master Plan for the Reconstruction of Skopje's City Centre, the 1st place in the 1966 competition made by Kenzo Tange. It's probably a good thing that the project was never accomplished. Just the idea of making a belt of high-rise buildings around the city was made. Parts of the facade of Konstantinovski's work. Another work of Janko Konstantinov is the Nikola Karev high school building from 1968. Also here an example on how Konstantinov uses raw concrete in a sculptural way, though the building is not as wild as the Post Main Office. 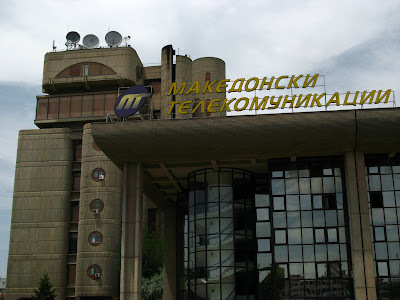 This is the building of the former News Publishing Agency "Nova Makedonija". It is a 15 storey building even if because of the shifted floors it doesn't look that high (it reminds me of the rudo building principle). 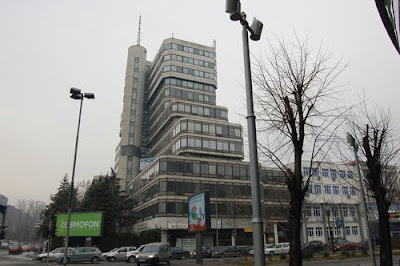 Since summer 2009 the building now serves as a home for some of the Ministries of FYROM. Built in 1972, the Orthodox church in one of few in the world to be designed in modern contemporary architecture. 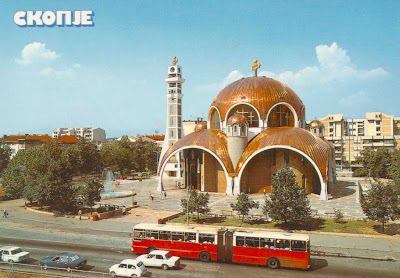 After Virgin Mary Cathedral was burned by the fascists on the end of WWII, and St. Dimitrie church was unable to meet the needs of the people, building of the new cathedral started in 1970. The main Macedonian orthodox cathedral church was consecrated in 1990, on the 1150th anniversary of the birth of the church patron, St. Clement of Ohrid. The architect is Slavko Brezovski, and it is a bold and contemporary interpretation of Orthodox architecture. 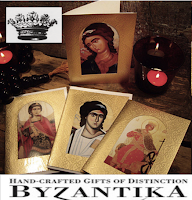 The iconostasis icons were painted by Gjorgi Danevski and Spase Spirovski and the frescoes were painted by the academic painter Jovan Petrov and his collaborators. The Jesus Pantocrator fresco painted in the main dome covers area of 70 meters squared and just his eye is 1,5 meters long. 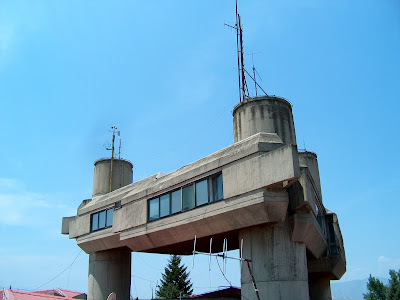 Crowning a hill along the road to old Skupi the State Hydrometeorological Institute building, projected in 1975 by Krsto Todorovski is a weird constellation of concrete pillars and slabs. What a beautiful tribute to my hometown! There are other little jewels in Skopje, not so modern, yet striking as images, The Ristic Palace for example, the Old Feudal Tower etc, etc..
And you're more than welcome!!! Oh, thanks Biljana, I will come to visit you! Hahaha, I know that my love for this kind of buildings is a bit special, belive me: they are jewels!! And nobody writes about them! Of course I like also the the Ristic Palace, the Feudal Tower and the streets od Carsija ....as well! @kirev: Hopefully you can still enjoy on the interesting buildings of my posts, because it's about them I wanted to write and not about some insults you might have felt. @kirev: This post is about an interesting city and its beautiful buildings. What's your problem? Something went wrong with the yesterday dinner's digestion? In this collection are many beautiful buildings! Some of course have no perceptible form, but mostly just beautiful. 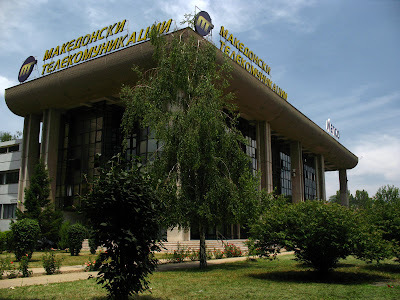 hey, maybe you've already visited, but I would warmly add to this selection the State University Cyril and Methodius complex of buildings (I adore them! - you should try and enter, especially the Philology faculties building - long and narrow corridors, funky tubular structures inside). You can see I like natur beton, cant you :)))? 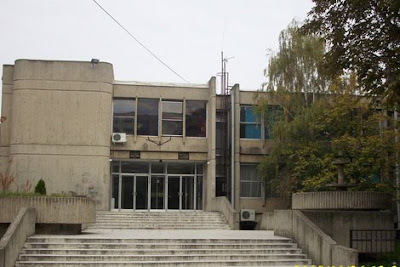 Just one thing, this concrete buildings are NOT in socialist style, they are in MODERN style, like the student dormitory Goce Delchev, the architect , prof. Georgi Konstantinovski, just came from the USA in 1975, he stydied there, so how can they be socialist?! None of these buildings are, that is wrong thing to say. 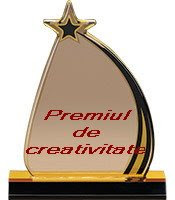 Dear Aleksandar, thank you for your comment. You're right and wrong. 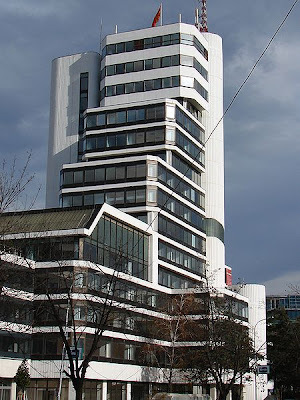 To be very precise these kind of building are modern buildings built in Socialist Yugloslavia. 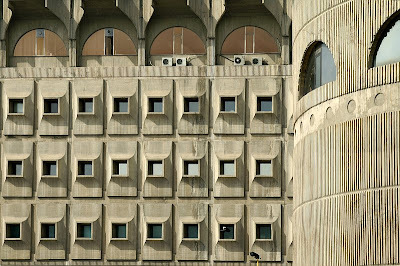 It's commonly referred to "Socialist Architecture" when speaking of modern, often concrete (beton brut) and also often of huge scale buildings that were realized and state-supported in former socialist countries (like SFRJ). Most of all the public buildings (administration, student dorms, state owned commercial buildings, state owned hotels) were planned in that style as opposition to historicism, traditionalism or nationalist styles (all styles that were not at all popular in socialistic contries). It's a Western view of things, it's of course looking at ex-socialist countries from the outside. 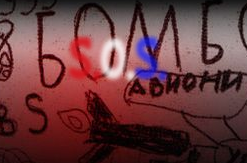 (so names as communist-style, soviet-style etc are used as well).